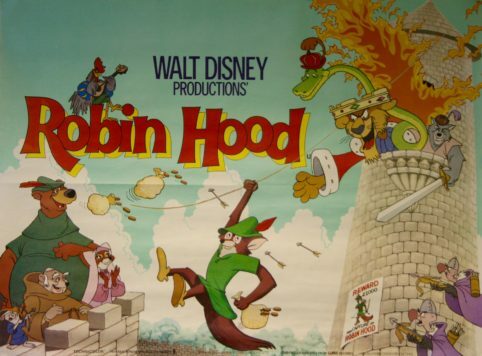 Walt Disney’s animated take on the legendary hero of British folklore “Robin Hood”. 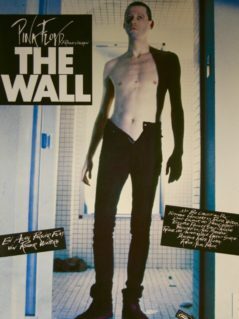 Re-released many times after its 1973 premiere but it is the artwork from the posters produced during the 1970’s that were probably the best from any period. Offered here is an original UK quad movie poster from the 1979 British re-release. 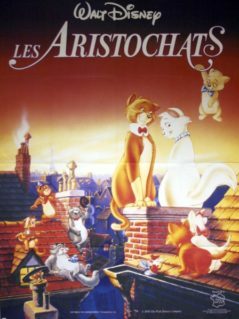 A magnificent, visual masterpiece of a poster as the Ken Anderson designed characters make the perfect transfer to paper. 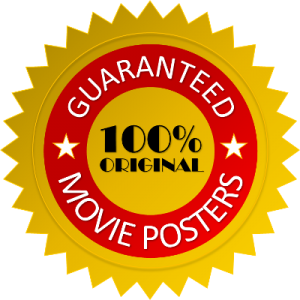 Beautiful design and artwork, bright bold colours and stunning animated action imagery featuring Robin Hood, Prince John, Sir Hiss, Little John, Maid Marian and Friar Tuck makes for an impressive looking poster. Originally folded (as issued) this unrestored film poster presents superbly and is a fine example of rare and collectable original movie memorabilia for a much loved Disney offering. Our story opens in the middle ages. King Richard, the king of England was off on the Crusades. While he was away, his evil, greedy brother Prince John seized the crown and named himself king. Also around this time was a rogue named Robin Hood who robbed the rich to feed the poor, or “barrow” as he put it. Robin Hood and his partner Little John always dodged the Sheriff of Nottingham and his posse. One afternoon, Prince John’s carriage came their way on it’s way to Nottingham so Robin and Little John dressed as fortune tellers and took Prince John’s gold and robe. Meanwhile in Nottingham, that mean old sheriff went door to door collecting taxes from folks who had little or no money. At the Rabbit family house, little Skippy was celebrating his 7th birthday. His present: one whole Farthing, which the sheriff took. Right then, Robin Hood disguised as a blind beggar dropped by and gave Skippy a bow and arrow and his hat. When trying it out, Skippy sent the arrow flying into Prince John’s backyard and when he and his friends go to retrieve it, they meet Maid Marian, who was longing for Robin Hood to return for her one day. Robin Hood felt the same away about her. He then got news that there would be an archery tournament at the castle. The winner get’s a kiss from Maid Marian. Robin just had to go. But little did he know the whole thing was a trap set by Prince John. Robin went in disguise as a stork but Prince John saw through the disguise and just as Robin won the tournament, Prince John sentenced him to death but it was Little John to the rescue! The friends escape. In the forest, Little John sings a song bashing Prince John which everybody loves! Even the sheriff and Prince John’s assistant, Sir Hiss, begin singing it. Prince John doesn’t like it at all and raises taxes highly! Those who couldn’t pay went to jail so everybody went to jail. The sheriff dropped in on Friar Tuck, who stood up to that bully, who placed him under arrest for treason. Prince John was going to hang Friar Tuck and capture Robin Hood at the same time! So that night, Robin Hood and Little John planned a jail break. Little John rescued Friar Tuck and the prisoners while Robin Hood took the gold from Prince John. They face danger and near defeat, but they make it out okay! Leaving Prince John calling out for his mommy and sucking his thumb. In the end, Robin Hood and Maid Marian are married and Prince John, Sir Hiss, and the Sheriff were sentenced to the rock pile where they belonged because King Richard had returned! A pretty good Disney film! As music filled and festive as The Jungle Book ! Phil Harris plays Little John. He was also in The Jungle Book. Peter Ustinov plays Prince John. Terry-Thomas is Sir Hiss. Pat Buttram is the “honorable” Sheriff of Nottingham. Carole Shelley and Monica Evans from The Odd Couple voice Lady Kluck and Maid Marian!